Pip Wilson bhp: The man is sweating, rubbing his nose. In minutes, he's lost £400 on the machines. 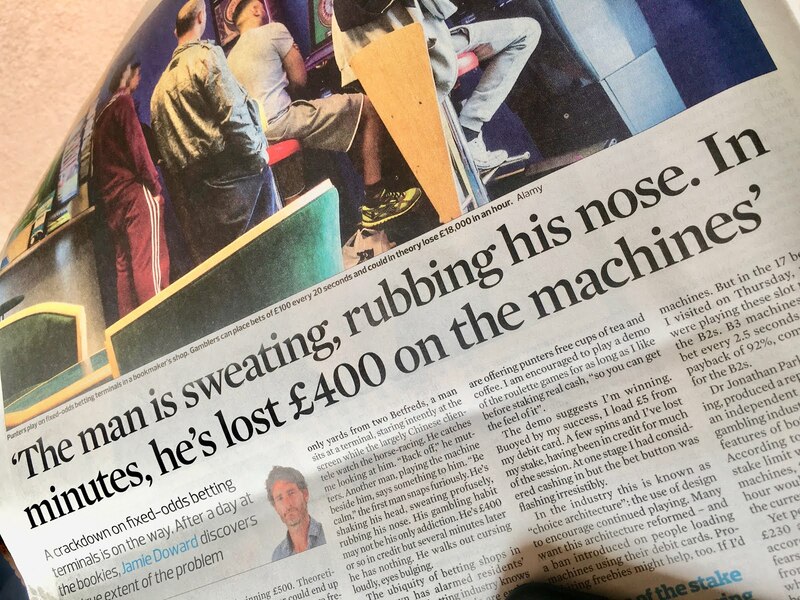 The man is sweating, rubbing his nose. In minutes, he's lost £400 on the machines.